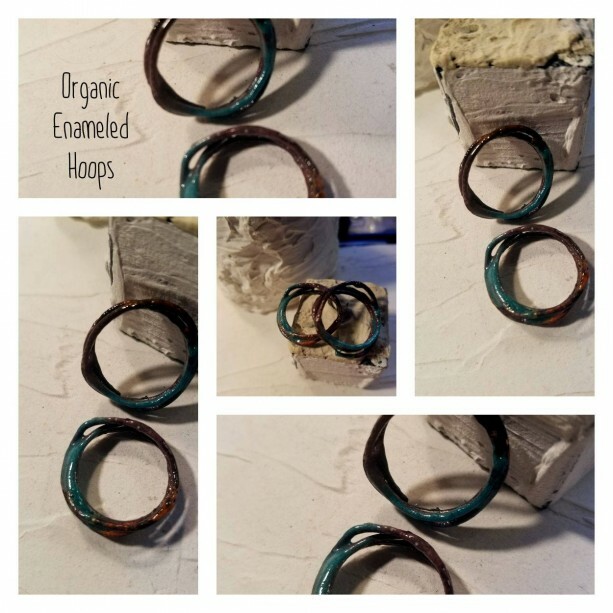 Copper wire is wrapped and forged into these organic hoops,then enameled with several Layers of Lead free enamel.3 colors turquoise Pink and Orange These are organic they are enameled leaving some of the wire exposed. 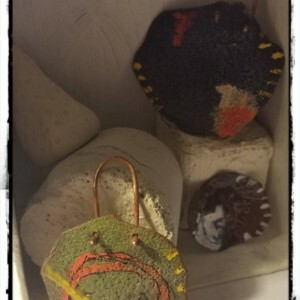 You will receive 1 pair.They are great for making earrings or adding a link to a bracelet or necklace. 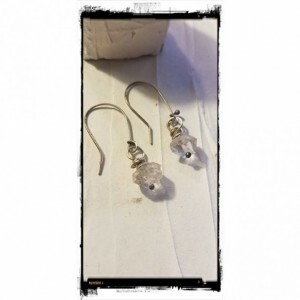 1pair approximately 22.5 mm 16 gauge wire ships with delivery tracking!